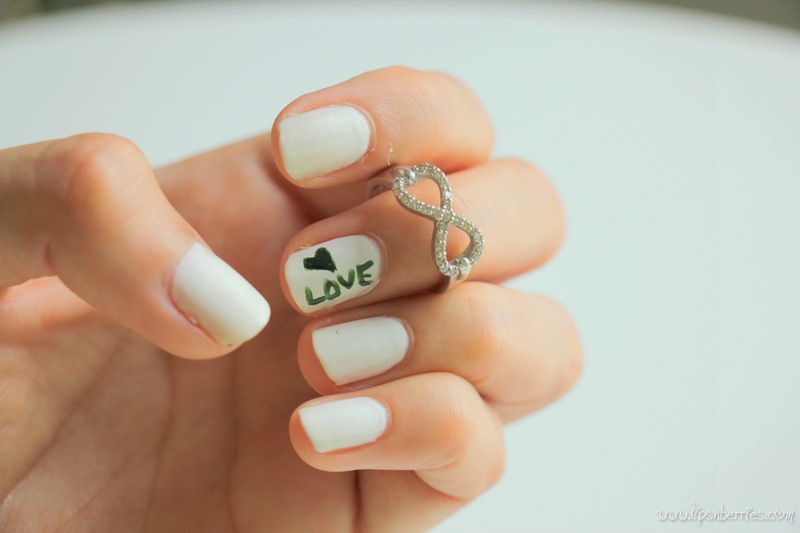 Matte White Nails! OPI Matte Top Coat+ Maybelline Color Show Porcelain Party - Review + NOTD! | LIPS n BERRIES! 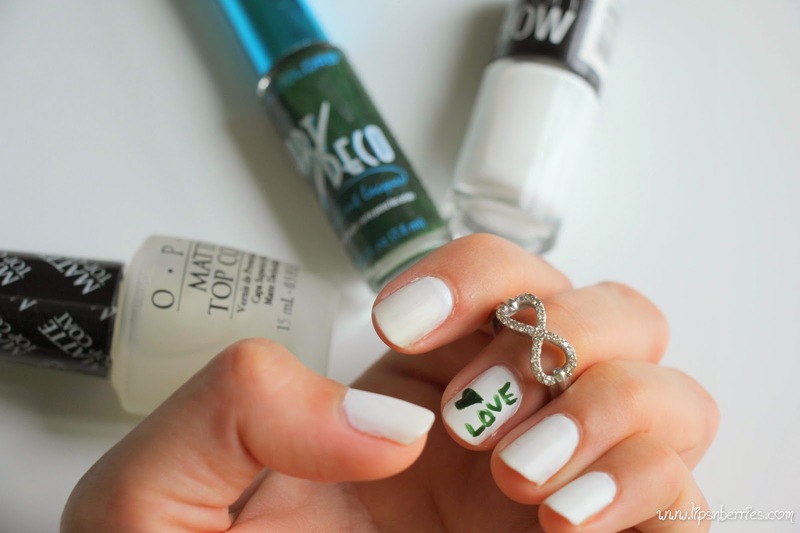 Matte White Nails! OPI Matte Top Coat+ Maybelline Color Show Porcelain Party - Review + NOTD! 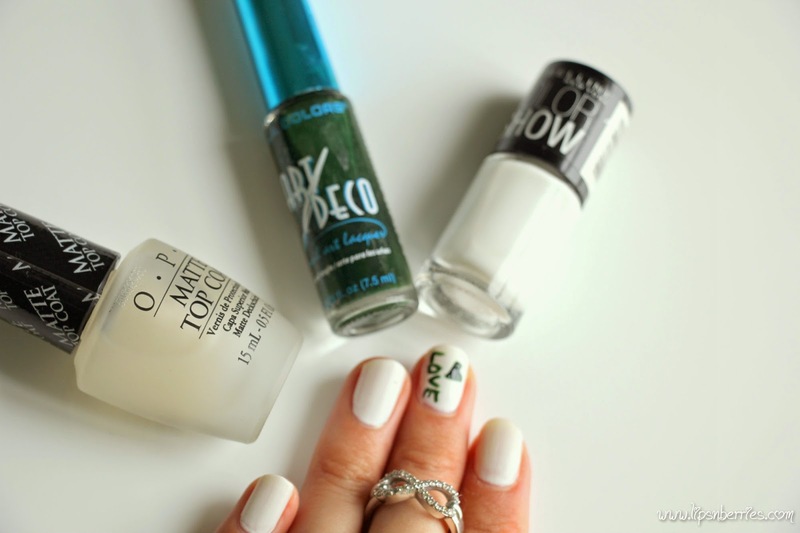 I love white and absolutely dig matte textures! Matte white has to be the classiest combo ever. Now I’m pretty bad with nail art. Blame the unsteady hand but that doesn't stop me from giving it a go. This blog is my creative outlet so I figure why not document my nail art progress here! Maybelline Color Show in 'Porcelain Party' was streaky like every white nail paint out there. I've applied two coats to get the desired opacity. OPI Matte Top Coat is the bomb! Go buy it. 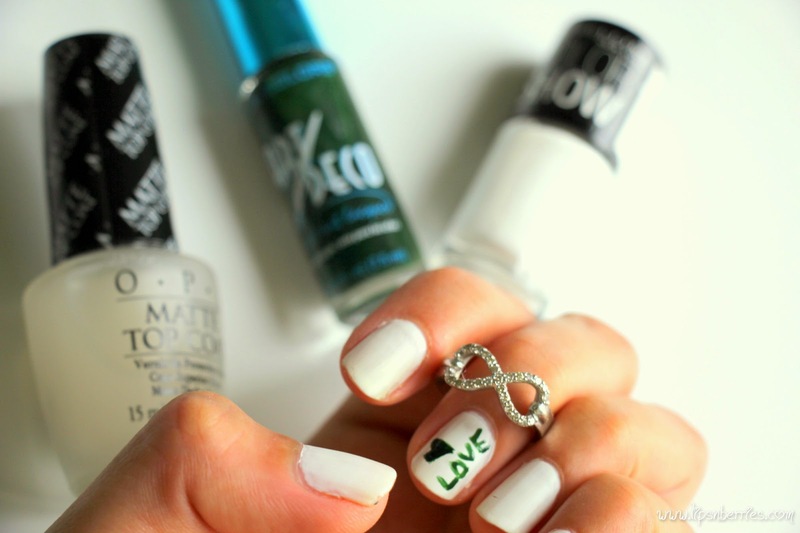 It’ll double your nail paint collection. Turn everything into matte. Highly recommended! LA Colors Art Deco Nail Lacquer was just $2 (maybe $1) at a clearance sale & I bought it just for the brush. Got no nail art tools so figured why not? Its has a thin liquid eyeliner like brush, only if it was that easy to maneuver. The consistency of nail paint was OK though. Who am I to judge a $1/$2 nail pen? Intended to do a pretty lower case cursive 'Love' but.... Lets blame it on the brush! P.S. Yup! That’s my wedding ring up there. Ahhh... should have mentioned! I ate curry... licked my fingers.. like I always do and white nails stained! I took these off after 3 days. :) Now thats perfection!